Greetings from India Jewellery Fair 2015!!! 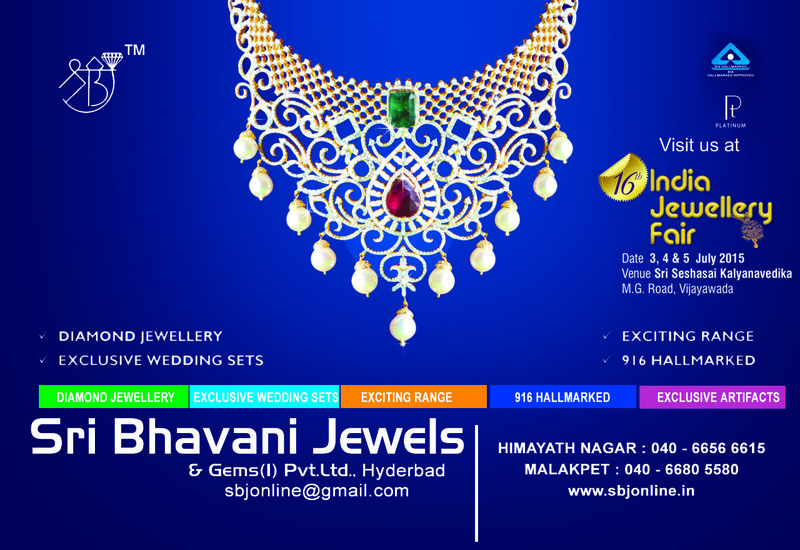 We are pleased to inform you about the upcoming 'India Jewellery Fair' at Vijayawada during 03rd to 05th July at 'Sri Sesha Sai Kalyan Vedika', MG Road. Over 100+ Jewellery wholesalers, retailers, importers, exporters, diamond and gem stone suppliers are participating in this expo from various parts of the country.